I’m excited to be the guest post for today. 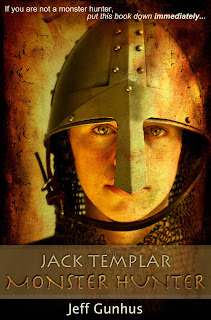 Donna has been a tireless supporter of Jack Templar Monster Hunter and created a top-notch blog tour for the book. 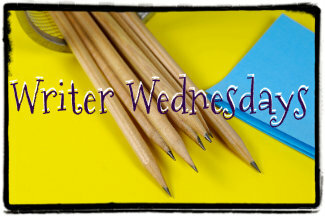 I enjoy the GWR blog and especially the Wednesday feature which proves to be a great resource for writerly advice. I hope I can deliver something as useful to my fellow writers here. I did this because I was first and foremost a movie fanboy. Raised on a healthy diet of Star Wars and Indiana Jones, I’ve still feel giddy excitement when I hear the 20th Century Fox fanfare or see the Paramount image cross dissolve into the opening shot for Raiders of the Lost Ark. Several years ago, I was at the San Diego Writer’s Conference (where I found my agent who sold my first book, No Parachute Required, to Hyperion), when I happened into a room where Richard Cutler from UCLA was teaching a class on screenwriting. Sixty minutes later, I bought my Movie Magic screenwriting software and embarked on my new adventure. Nine or ten scripts later, I still can’t point to any movies that have been made from my scripts. I did place high enough in screenwriting competitions like the Austin Film Festival and Nichol’s to get some buzz and make me feel good. 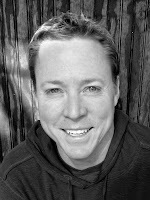 My writing partner and I were hired by an indie company to write a screenplay on assignment. All good experiences…but none of which will result in a movie being made. Why? Because, I believe that if you really love writing, you do it for yourself. (Unless it’s your livelihood…then you kinda need to have a slightly larger audience.) I loved each one of the scripts I wrote. I enjoyed the characters. I liked the challenge of solving the complex puzzles that the screenwriting format brings. I loved it because I loved telling the stories. 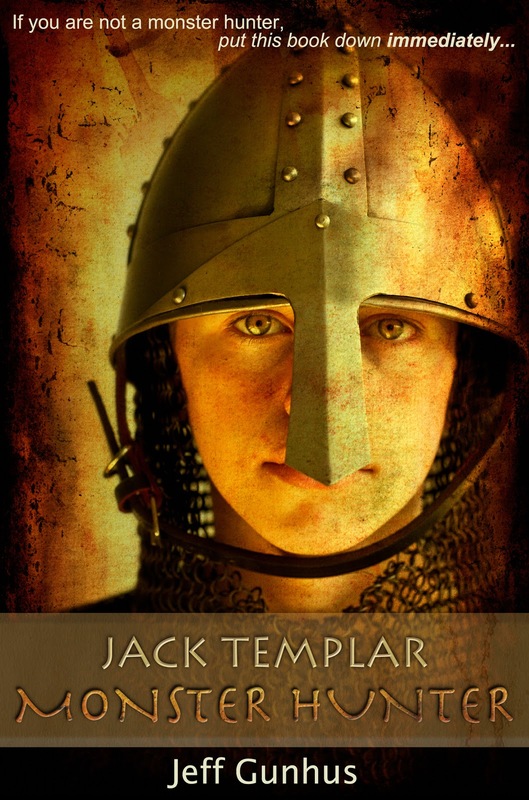 And along the way, I learned some great lessons that I brought back with me when I wrote Jack Templar. Unfortunately, I learned some bad habits too. I’ve listed them below as you might find them helpful too. 1) Highly constructed three-act format. The three act structure traces back to Aristotle and it’s central to the form. However, the architecture if much more front-and-center in screenwriting. The major beats in a screenplay occur within a fairly well defined structure. I mapped out JTMH using this same format and found it very helpful. I have a 140,000 word horror story in a desk drawer because I let myself drift through the story too much. Creating a “beat sheet” helped keep JTMH lean and focused. 2) Hero’s journey. Starting with Joseph Campbell’s seminal work, The Hero With A Thousand Faces, an entire industry has grown up around the idea of distilling the hero ideal from antiquity into a system that storytellers can use to tap into our caveman instincts. There are interesting commonalities in hero stories across the centuries. The hero’s call to action, his refusal, the mentor role, the journey he must make to solve a problem, etc. Filmmaker George Lucas famously adhered to Campbell’s system in Star Wars (to pretty good results.) Jack Templar is no Star Wars but his journey (especially in upcoming books) owes a lot to Campbell’s work. 3) No talking heads. If you write pages of dialog in a screenplay, it will be visually boring ever. (Unless you’re Woody Allen or Quentin Tarantino – then you can do it.) In books, that was a knock against the DaVinci Code. I loved the book but you have to admit that Dan Brown tended to put characters in a room and just have them talk for page after page with on-the-nose dialog. (Given the sales of the book, I don’t think the criticism bothered him.) Even in the freedom of a novel where you can be more indulgent, I tried to keep the action going and limit the talky-talk. 4) Character revealed through action, not words. This is the old “show, don’t tell” truism we all heard in English 101. Just like in real life, it’s what characters do that show who they are, not what they say. But since film is a visual medium, this is beat in to your head from day one. You always have to ask yourself, “How would they film this?” If it’s alternating shots of people talking…over and over and over…there’s a problem. A good ruleof thumb is if a character ever says how they feel, it’s important to make sure they could not say it and the audience would know their emotional state based on their actions. (Which leads you to ask why you have them saying it then.) Better yet, ask yourself whether if the character lied about how they felt to another character, would we know it? 5) Torture your characters. Every step toward success needs to be met with larger obstacles, building to a crescendo where they lose everything. If things can get any worse, they better get worse before we let our hero win. All these helped write Jack Templar, but I think I brought some bad habits home as well. 1) Haiku of storytelling. Screenwriting is about spending ten minutes to figure out how to use seven words instead of fourteen to describe something. This lean approach works to make a script readable, but probably ended up making Jack Templar too lean. For example, I could have spent more time developing the world of Sunnyvale, even though I knew we weren’t going to spend more than one book there. 2) Action. Action. Action. Some reviews mention the pace is too fast and comes at the cost of characterization. (Other reviewers, especially kids, mention this as a positive.) But while the beat sheet exercise helped me form the story, I think it also pushed the speedometer a little too much. I’m 2/3 of the way through writing book two and have enjoyed drilling more deeply into the characters and their backstories. If you’re interested in screenwriting, I’ve included a couple of excellent books. These are great resources for storytelling not matter what format you work in. I hope you enjoy them and hope you found something in the post useful in your own writing. Check out the entire tour and enter to win some great swag plus a $25 Amazon gift card. This post is part of a GWR Publicity promotional tour paid for by the author. The views, beliefs, and opinions expressed by guest authors are their own and do not necessarily reflect the views, beliefs, or opinions of Girl Who Reads. Girl Who Reads is an advertising affiliate with Amazon and IndieBound; a small fee is earned when purchases are made using the above links. Thanks for having me on, Donna. I hope your readers find the post helpful.